What is the earliest time to occupy the room? We can hand out the room key to you, if the person who has occupied the room before has checked out. The latest check out is at 12:00 noon. The room should be made ready to use until 3:00 p.m. When do I have to leave the room? Our guests have to leave their room until 12:00 noon, at the day of departure. At what time may I check in? Please always inform us about your time of arrival. If we do not get any other information, we will expect you between 2:00 p.m. and 6:00 p.m. If you would like to arrive later, we ask you to make an appointment for check in. Please note that arrivals after 10:00 p.m. are not possible. You need your passport or identity card for check in. We will not accommodate persons without proof of identity. Where can I park my car or put my bike? We do not own a parking area, so we can not reserve a parking space for you. But there are public parking areas in our neighbourhood, (see: “Situation“). There are also public bicycle stands in the street in front of our house. We do not have space for bikes inside our house. Could you store my baggage? We do not have a baggage room. If your bedroom is available on arrival, you can put your luggage there, even if the room is not yet ready cleaned. On your departure we can store baggage only if the circumstances allow it. Frequently this is not possible, as for example no one of us may later be there to hand it out back to you. How much are your room rates? Where are the prices? Our room rates vary from day to day. For the prices at your desired date you may query our online-booking-system. How long is the minimum stay? As our room rates, also the minimum stay varies from day to day. At most days the minimum stay is 2 nights. But sometimes we also offer single nights. Just try your desired dates with our online-booking-system. May I reserve a smoking room? No, our guesthouse is a non-smoking-house. Smoking is allowed on the terrace only. I would like to reserve a room by phone. Reservations and cancellations need to be done in written. The easyest and fastest way to reserve a room is our online-booking-system. In-time-cancellations of online bookings can also be made online: Just click the link at the end of your confirmation email. Yes, we accept VISA, MasterCard, JCB, American Express and Diners Club. We also offer Maestro, Electron, V-pay, girocard and EC-Cash payments. Of course you may also pay in cash or by bank transfer in advace. (Deutsch) Der Gast reist für unsere Firma, akzeptieren Sie unsere Kostenübernahme? I booked using my credit card. Did I already pay the room? Your credit card is usually only used to guarantee the booking. If nothing different is agreed, we will not charge your credit card except in case of no-show, or if you left our house without having paid the bill. Please be prepared to pay your bill latest at check out. Of course you can use your credit card for the payment. If a deposit is necessary, we will let you know explicitly. A deposit might be necessary if you come form a county outside the European Union, a group booked a large part of our rooms, or if there is a large demand for accommodation. I don’t have a credit card, can I book a room anyhow? If there is enough time before arrival, we normally also accept bookings that are paid by bank transfer in advance. Do I have to pay something if I cancel my booking? With the booking we normally agree that a cancellation free of charge is possible until a defined period before arrival. Later cancellations can cause a compensation to be paid. This could be up to 90% of the price. Therefore we recommend a Hotel Cancellation Insurance. Can I make phone-calls from your house? Every German mobile-network is available form each of our rooms. If you need a landline phone, you can rent a phone from the reception for the price of EUR 1 per day. With this phone you can receive calls on a landline-number and call others for moderate prices. There is also a payphone in our house that accepts coins. At what time do you serve breakfast? We will ask you at what time you would like to have breakfast. The breakfast buffet is ready from the earliest point of time a guest specified. Breakfast is possible from 7 to 10 o’clock at working days or from 8 to 11 o’clock at Saturdays, Sundays and bank holydays. What do I not need to bring along? Of course, bed linen and towels are present in your room or apartment. A hair-dryer is also available. May I share a room with my dog? No! Animals of any kind are not allowed in our house. We cannot make exceptions, even for very well-behaved pets, because guests with an allergy will count on this rule. How much is the bottle of water that I find in my room on arrival? The bottle of mineral water is a welcome present for you. You do not have to pay for drinking it. If you order more bottles, we charge you EUR 1 per bottle. Do you also offer Dinner or Lunch? We offer bed and breakfast only. But you will find restaurants in our neighbourhood which offer good value meals. Do you offer rooms for handicapped people? No, our house is an old building. All our rooms are accessible from the staircase only. There is no lift. Do you offer triple bed rooms? We have single or double rooms only. There is also no way to put an extra bed in our double rooms. This is possible in the apartment only. I need a wake-up-call in the morning. This is only possible, if you have one of our rental phones in in our rooms. But most modern mobile phones have an alarm function as well. There are also some alarm clocks at the reception to lend. How much is the WiFi-Internet-Access? 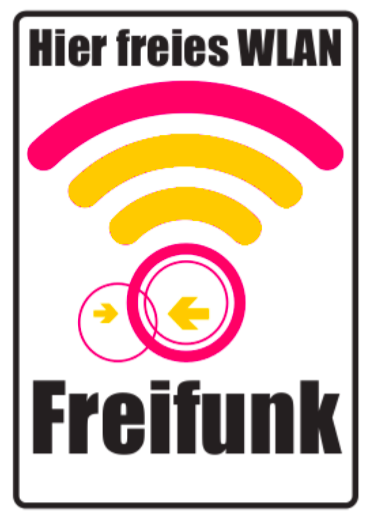 All guests can use the community based Freifunk-Hostspot “kbu.freifunk.net” for free and without registration. The premium WiFi hotspot can be used for EUR 3 per day. If you prefer to be charged only for used online time, you would pay EUR 2 per hour (charged by the minute) for this hostspot. Is there a fridge or a mini-bar in your rooms? We have one mini-bar in the public area, in the winter garden in front of the terrace. Here you can buy some sweets or soft drinks. There is no fridge or mini-bar in our single or double rooms. But the apartments kitchen has a fridge. If you need a fridge we recommend to book the apartment. Do you have bicycles to lend? (Deutsch) Gibt es eine Küche in der ich mir selbst eine Mahlzeit zubereiten kann? (Deutsch) Kann ich meine Wertsachen in Ihrem Hotelsafe deponieren? (Deutsch) Ich bin Allergiker, haben Sie entsprechende Kissen? (Deutsch) Ich habe keine hohen Ansprüche, mir reicht ein Bett im Schlafsaal. Do you offer facilities to wash clothes? There are no such facilities in our house, but there are laundry services in the neighbourhood, one with service and one with selfservice.